Syed Fashih Uddin Soharwardi name need no further recognition in Pakistan as Fashih Sahib is the most beloved Naat Khawan of Pakistan. He is not merely admired in Pakistan but also in the world all over where Muslim live. He has recited more than 5000 Naats up till now. He owns a huge fan following all over the world. He has traveled to several countries and attended many competitions around the world. He is popular among people due to his charismatic God gifted voice. 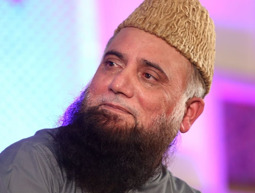 One of the most famous Syed Fashih Uddin Soharwardi Naat is “Mein Toh Panjatan Ka Ghulam Ho”. His Naats are mesmerizing enough to leave a deep impact on the mind and soul of listeners. You can find a large collection of Fashih Uddin Soharwardi Naats available online on HamariWeb. You can listen and download Fashih Uddin Soharwardi Video Naats online free on our website. HamariWeb provide each Fashih Uddin Soharwardi Naats Album online for their users on the page of Naat Sharif section.